The debate over Britain’s runways has raged for decades. But until recently, the question had been, “when can we build a new runway at Heathrow?”. So when Gatwick Airport told us they wanted to join the fight, even we were skeptical of the little airport that could. But it turns out, when you look at the facts, Gatwick was clearly the better choice. But how could we stir the emotions of the busy and powerful over a runway debate? 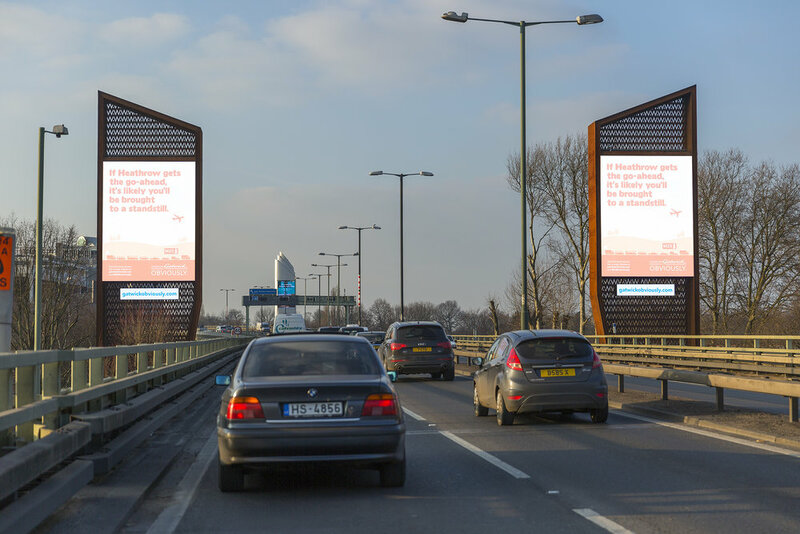 Recognising that sometimes you need to have the confidence to talk quietly, we created the visually arresting ‘Gatwick, Obviously’ campaign which dominated London’s media with smart, sensible, and provocative questions for months on end. 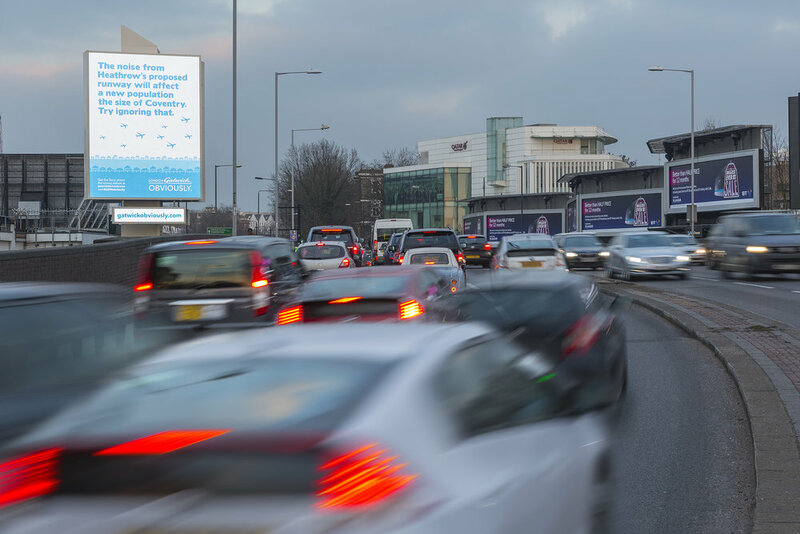 We used a clear and distinctive brand identity across multiple channels, along with a unifying strapline, to bring to life several statements and facts that we believed would make the runway decision as simple as possible. The debate around the solution to the UK’s airport capacity rumbles on, but it’s now very much a question of ‘where’, rather than ‘when’: and while the Government remain supportive of Heathrow, YouGov research during the campaign showed it generated just as many supporters as its rival. 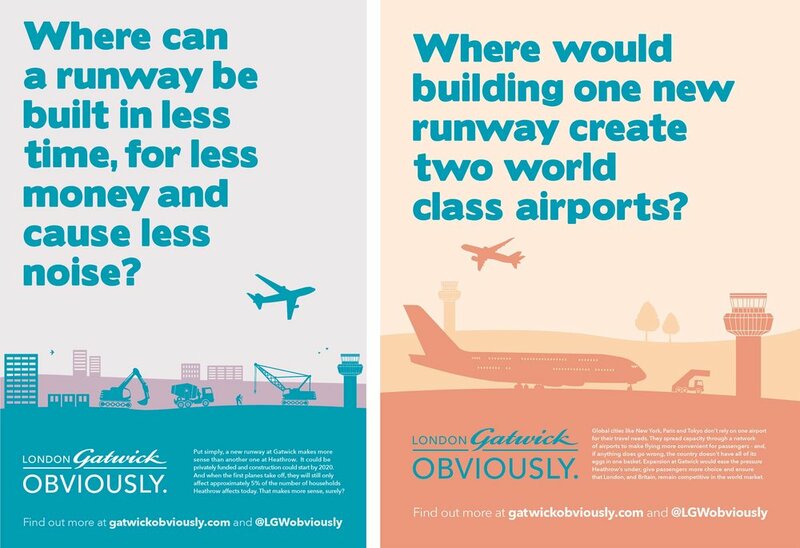 We’re continuing to work with Gatwick to develop its core brand position for the future; and to fight the ludicrous suggestion that an extra runway should go anywhere other than Gatwick.